Tic Studio is located in the heart of Vienna's historical and trendy 7th district, Neubau, just a few minutes' walk from Mariahilfer Strasse, the museums and the city centre. The 150m2 (1,615 square foot) newly renovated studio opened in late November 2016 , and it's part of the 500m2 Tic Music complex, which was built in 1989. Tic is an inspiring and friendly studio, perfect for writing and recording projects for bands and solo artists alike, as well as excellent for mixing, either via console or summing. Tic is widely-regarded as a very creative and generous space with a "great vibe" and it boasts an impressive collection of analogue gear, as well as both classic and modern microphones. The core of the studio is a Pro tools 12 HDX with Avid 32 analogi/o and SSL Alphalink 24 analog i/o, a Euphonix CS2 28 ch console (96 lines on mixdown), an Oram DM16 summing amp and a 12 channel Neve VR module sidecar, countless Classic preamps from Api, Neumann, Manley, Langevin and Focusrite. Monitoring is via the beautiful sounding Tannoy System 15, The K&H O300 and the classic ATC SM20. All the recording spaces at Tic are flooded by daylight., and a great sounding Boesendorfer Piano sits in the main recording area. 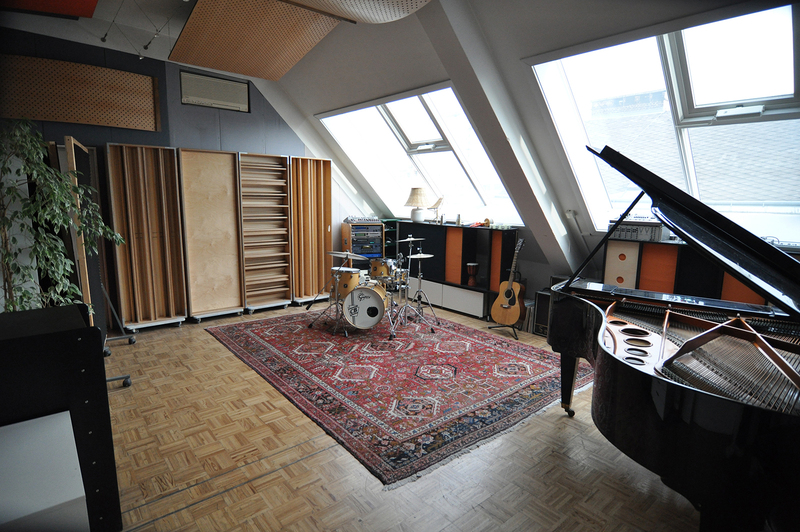 There is a second large recording room, usually for Drums, and a 16 sqm vocal or amp booth, making a total of three live recording spaces plus the large, luminous control room. A comfortable Kitchen & lounge comes as part of Tic studio, and the food selection in the area is varied and of very good quality. Many of Vienna's attractions are easily reachable from the studio location.